Check out Tobi's Annabel Ankle Strap Heel Strut around in the Annabel Ankle Strap Gold Heel. 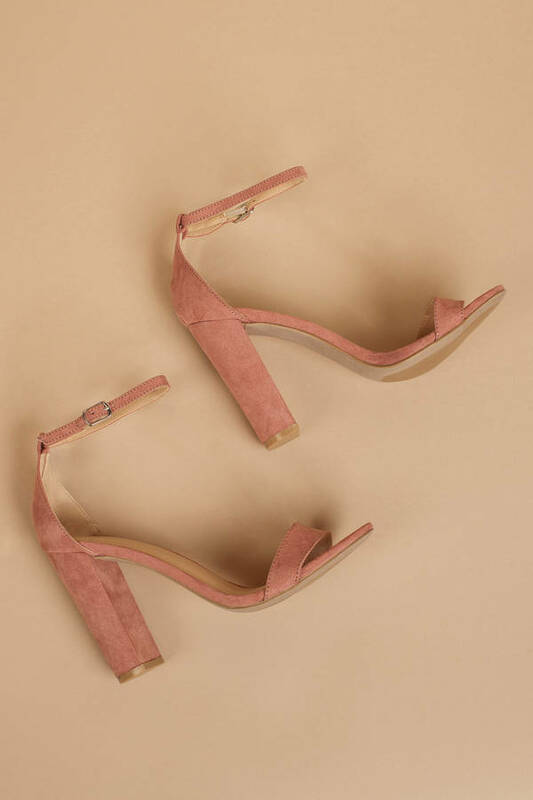 These open toe heels feature a delicate ankle strap and a high block heel. These comfortable heels will be the finishing touch to all your formal 'fits, or add to all your casual outfits to dress them up a bit. Strut around in the Annabel Ankle Strap Rose Heel. These open toe heels feature a delicate ankle strap and a high block heel. These comfortable heels will be the finishing touch to all your formal 'fits, or add to all your casual outfits to dress them up a bit. Strut around in the Annabel Ankle Strap Gold Heel. These open toe heels feature a delicate ankle strap and a high block heel. These comfortable heels will be the finishing touch to all your formal 'fits, or add to all your casual outfits to dress them up a bit. Strut around in the Annabel Ankle Strap Red Heel. These open toe heels feature a delicate ankle strap and a high block heel. These comfortable heels will be the finishing touch to all your formal 'fits, or add to all your casual outfits to dress them up a bit.